British musician from London who writes and performs his own melodic electronica and dance music. Hopkins' 2001 debut, Opalescent, was followed by Contact Note in 2004. 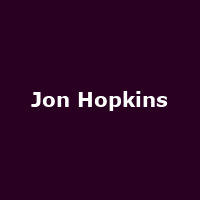 Hopkins's third album, Insides, was released on Domino Records in 2009. His 2011 collaboration with King Creosote, "Diamond Mine", was nominated for the Barclaycard Mercury Music Prize in 2011 and again in 2013 for "Immunity". Jon was also nominated for an Ivor Novello award for his soundtrack work on the 2010 film "Monsters". Jon released fifth album, "Singularity" in 2018.